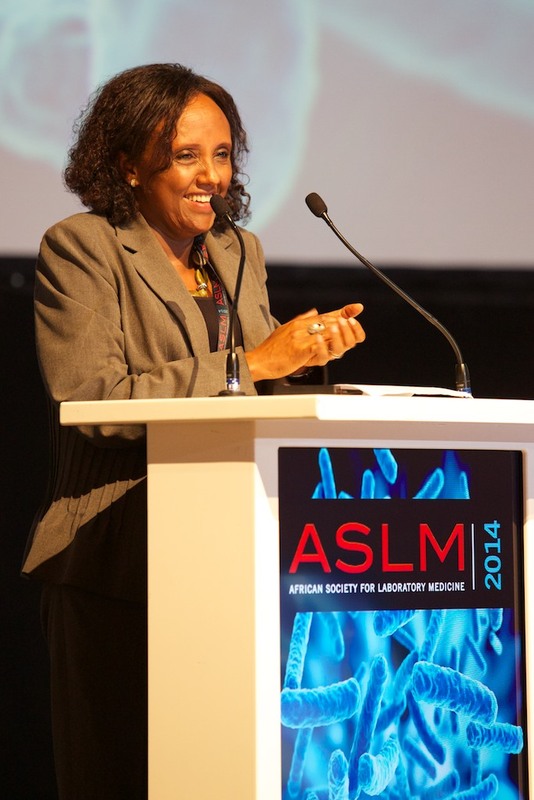 Addis Ababa, Ethiopia (9 April 2015) – The African Society for Laboratory Medicine (ASLM), a pan-African professional body working to raise laboratory services in Africa to world-class standards, announces that its CEO, Dr. Tsehaynesh Messele, is due to step down from her position at the end of April 2015 after four highly successful years at the helm. She will remain on the Board of Directors and continue to contribute to the growth of ASLM. After an extensive global search, Dr. Messele joined the start-up organisation as its first Chief Executive Officer in 2011 and immediately set about building a rapidly-growing organisation – transforming it from an ambitious idea decades in the making to a respected institution contributing to strengthened healthcare in Africa. “I have enjoyed working to build resilient laboratory systems in Africa. ASLM is now in a position of strength, relevance, and influence and is well-placed to move to the next level of success and impact. The extraordinary warmth and commitment of my colleagues and partners have inspired me these past four years during which we have taken great strides towards delivering the mission of ASLM,” said Dr. Messele. ASLM is an independent, pan-African professional body that coordinates, galvanises and mobilises relevant stakeholders – local, national and international – so that together, we improve local access to world-class laboratory services and ensure healthy African communities now and for the long-term.